VARI-TECH is an acronym for VARIOUS TECHNOLOGIES. The original thrust of the company was to bring engineered products and services to the Northeastern United States market. Emco Corporation acquired VARI-TECH in 2004. Our purpose has now spread across the North American continent and includes our export partners. 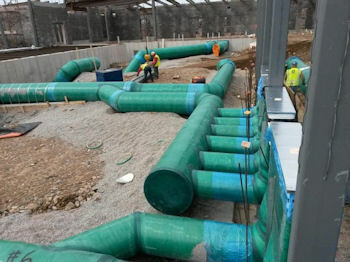 Storm Water Underground Storage Systems, Dewatering, Erosion Control, Infiltration systems, Relining, Culverts, Rainwater Harvesting, Grey water Reuse, Detention Systems, Gravity Storm Sewers, Catch Basins, Concrete Channels, Flood Control, Water Quality Systems, and Catch Basins Inserts. 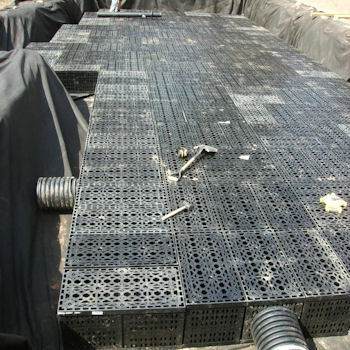 Brentwood StormTanks, Corrugated HDPE, HDPE Manholes, Aquatherm Lilac, Spirolite, Smart Ditch, Articulating Block Mats, Hydrocast Armor Units, Uniform Section Linings, Enviromat Linings, Filter Band linings, Filter Point Lining. 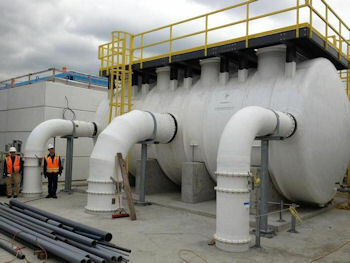 Leachate and Methane Recovery, Manholes, Waterlines, Sanitary Sewer Force Mains, Fiberglass Structural Members, Odor Control Systems, Storm Water Sewers, Pump and Lift Stations, Dewatering, Storm Water Underground Storage Systems, Sludge Lines, Chemical Feed lines, Air lines, Dual Containment pipe, and Perforated Pipe. HDPE Pipe, HDPE Fittings, Spirolite, PVC Pipe, HDPE Manholes, Aquatherm Green, Aquatherm Blue, Aquatherm Lilac, McElroy Equipment Sales, Wegener Extrusion Equipment, Electrofusion Products, Fusion Training Course, McElroy Equipment Repairs, Valves, Piping Gaskets, Leak Detection, Reed Tools, Victaulic Couplings, Inserta Tees, Fiberglass Decking & Grating, Fiberglass Handrail, Fiberglass Flat Covers, Spunstrand FRP Duct, Fiberglass Pipe, Fiberglass Structural Systems, Articulating Block Mats, Hydrocast Armor Units, Uniform Section Linings, Enviromat Linings, Filter Band linings, Filter Point Lining. Brentwood StormTank. 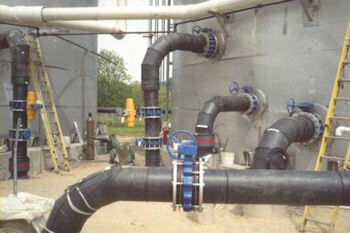 Acid Lines, Chemical Feed Lines, Corrosive Wastes, Erosion Control, Concrete Channels, Grout Bags, Port Scour Protection, Dual Containment, Odor Control Systems, Manholes, Pump and Lift Stations, Relining, Process Piping, Fire Protections (FM Approved), Cooler Tower Lines, Manholes, Relining Manholes, Water Distribution, Slurry Lines - Mining, FRP Structures, Storm Sewers, Stormwater Underground Storage Systems, Perforated Pipes, and Sanitary Sewer and Potable Force Mains. HDPE Pipe, Spirolite, HDPE Fittings, PVC Pipe, Aquatherm Green, Aquatherm Blue, HDPE Manholes, McElroy Equipment Sales, Wegener Extrusion Equipment, Electrofusion Products, Fusion Training Course, McElroy Equipment Repairs, Valves, Piping Gaskets, Leak Detection, Reed Tools, Victaulic Couplings, Inserta Tees, Fiberglass Decking & Grating, Fiberglass Handrail, Fiberglass Flat Covers, Spunstrand FRP Duct, Fiberglass Pipe, Fiberglass Structural Systems, Articulating Block Mats, Hydrocast Armor Units, Uniform Section Linings, Enviromat Linings, Filter Band linings, Filter Point Lining. Brentwood StormTank. Fiber Optic Duct, Greywater reuse, Rainwater Harvesting, Fire Protection, Hydronic Heating and Cooling, Radiant Panels, Geothermal, Architectural Handrail and Decking, Safety Handrail, Safety Ladders, and Underslab Duct. HDPE Pipe, HDPE Fittings, Aquatherm Green, Aquatherm Blue, Aquatherm Black, PVC Pipe, McElroy Equipment Sales, Fiberglass Decking & Grating, Fiberglass Handrail, Spunstrand FRP Duct, Fiberglass Pipe, Fiberglass Structural Systems, Articulating Block Mats, Hydrocast Armor Units, Uniform Section Linings, Enviromat Linings, Filter Band linings, Filter Point Lining. Brentwood StormTank. 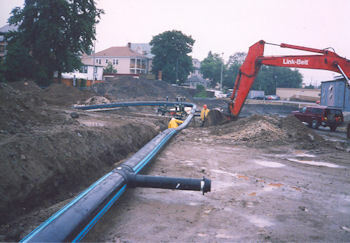 Conduit, Gas Lines, Sanitary Sewer Force Mains, Manholes, Relining Manholes, Potable Force Mains, Gravity Sewer Lines, De-watering Perforated Pipe, Relining, Horizontal Directional Drilling, Irrigation Lines, and Pump and Lift Stations. HDPE Pipe, Spirolite, HDPE Fittings, PVC Pipe, HDPE Manholes, McElroy Equipment Sales, Wegener Extrusion Equipment, Electrofusion Products, Fusion Training Course, McElroy Equipment Repairs, Valves, Piping Gaskets, Leak Detection, Reed Tools, Victaulic Couplings, Inserta Tees, Aquatherm Green, Brentwood StormTank.